Sen. Shelby announces funding deal to keep government open. Lawmakers from both sides of the aisle reached a deal “in principle” late Monday that would avert another government shutdown — if it’s passed and signed by President Donald Trump. The committee met three times to discuss the bills needed to placate Republicans, Democrats and President Donald Trump, who so far has refused any bill that doesn’t include $5.7 billion toward a wall on the southern border. Lawmakers wouldn’t discuss the details publicly but sources told NBC News, The Hill and CNN the bill includes $1.375 billion for physical barrier enhancements, 55 miles of new barrier, $1.7 billion for border security enhancements and 40,520 detention beds for immigrants. “We’ve had a good evening. 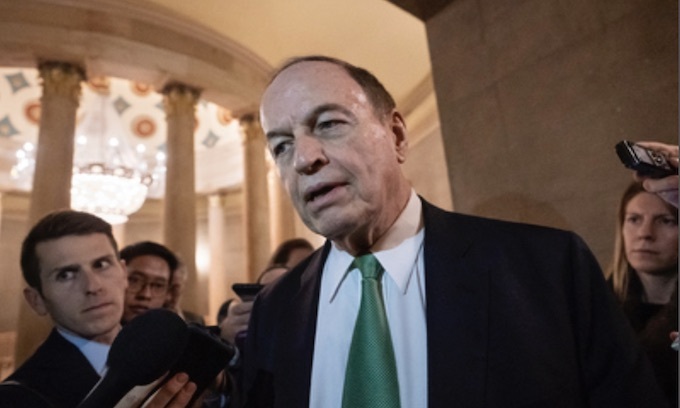 We’ve reached an agreement in principle between us on the Homeland Security and the six other bills,” Senate appropriations committee Chairman Richard Shelby said. The negotiations occurred before Trump visited the border at El Paso, Texas, Monday where he spoke to a crowd of supporters and promised to build the wall. He also didn’t mention a limit on the number of detention center beds. Democrats have sought to reduce the number of beds while Republicans are trying to increase it. The bill includes seven remaining fiscal year 2019 appropriations needed to fund the government, which includes Federal Aviation Administration, Transportation Security Administration and border security. The bipartisan committee said they have the support of party leadership. The goal is to get a bill to the president’s desk by Friday before government funding runs out and another shutdown begins. The last stoppage lasted for 35 days. Trump ultimately struck a deal with lawmakers for a short-term fix after the shutdown began to seriously impact air travel in the Northeast. What a putz! What is in the United States interest is to detain and deport the criminal illegal aliens not reduce our ability to with this phony deal. No deal. Full funding for border wall, no max on detention & no catch & release. Congress better write & pass whatever simple brief stand alone laws are needed immediately to make it clear that US federal govt will no longer tolerate or permit any illegal aliens to be protected from speedy deportation. For our national security, no foreign national migrants can be released into country until & unless they have met legal migration requirements. Require authorized agencies of foreign govts to take immediate custody & responsibility for their minor children citizens who arrive on our soil, with or without any adult relatives. Setup 24/7 video at processing / detention facilities so that off-site judges or other authorized personnel can make quick decisions to deny entry into US for any alien who cannot provide verified proof for asylum claim. Immigration advocates should be happy to provide free interpreters to be available for video hearings. Ditto lawyers although I see no need for lawyers since foreign migrants entering illegally are de facto ineligible for entry & other migrants either can or cannot provide proof of acceptable asylum claim & usually not since they must make claim in first safe country, which in all southern border cases would be Mexico. I agree. These 5 republicans on that 9 person ‘team’ have done JACK to secure our country, and in fact have once again STABBED IT IN THE BACK. I hope EVERY One of those 5 on it, lose their next election, BIG TIME! Typical GOP..,,,,,,,Go along with anything the Socialist Democrats want so that the damn media will love them. The GOP better rid themselves of these RINO’s and other traitors within their ranks or it will cease to exist as a political party.